The Monk Akakios of Sinai lived during the VI Century and was a novice at a certain monastery. The humble monk distinguished himself by his patient and unquestioning obedience to his spiritual-elder, a man of callous character. He forced the monk to toil excessively, starved him with hunger, and beat him without mercy. Despite such treatment, the Monk Akakios meekly endured the affliction and thanked God for everything. 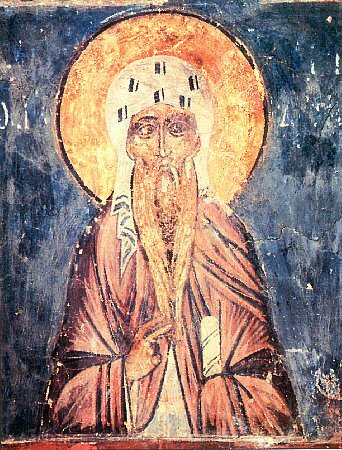 Not long surviving such harsh obedience, Saint Akakios died. The elder after five days told about the death of his disciple to another elder, who did not believe that the young monk was dead. Then this teacher of Akakios called this other elder over to the grave of Akakios and loudly asked: "Brother Akakios, art thou dead?" From the grave was heard a voice: "No, father, not dead; whosoever beareth an obedience, is not wont to die". The startled elder fell down with tears before the grave, asking forgiveness of his disciple. And after this he changed himself morally, he applied himself in his cell near the grave of Saint Akakios, and in prayer and in meekness he finished out his life. The Monk John of the Ladder Climaticus (Comm. 30 March) offers this tale in his "Ladder" as an example of endurance and obedience, and the rewards for them.